Hrithik Roshan who had launched his own Lifestyle brand called, “HRX” completed 3 years on the 21st November. The actor whose often witnessed wearing his brand pulls it off looking pure cool each time. Hrithik has made several fashion statements and his fans have loved it every time! His fashion has always been spoken about and never fails to impress the audience. Recently when Hrithik tweeted about HRX completing 3 years all his fans had celebrated the day with the actor by tweeting and congratulating on the long journey that it has been! Moreover the fans have also shared their amazing experience of being associated with the brand! Amongst the fans there is one special fan who has tweeted about HRX, its none other than Shah Rukh Khan who has expressed his love for all the products of HRX! Infact the actor has also shared how well he has been using all of them! 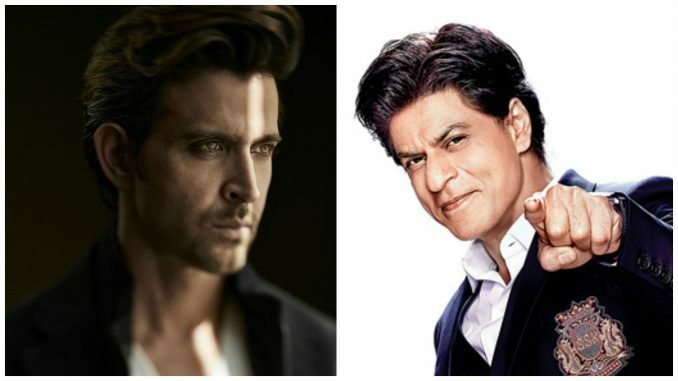 SRK and Hrithik go long back and the duo share a great rapport! Besides Hrithik, Salman Khan also has his own Brand called Being Human. The ‘HRX’ collection is a combination of style, substance, passion which is an inspiration drawn from the actor truly. For The Last Time, Tom Cruise Is Not Gay!